"Dear Santa, I think I finally know what you meant during our visit. Christmas is truly about something more, it's not about toys, now is it?" Ferdinand Finds Christmas, the true meaning of Christmas is told in this story that will delight and touch children and their families. Our yellow frog friend, Ferdinand, learns that the true meaning of Christmas isn't all the toys and tinsel, it's about the birth of Jesus Christ. 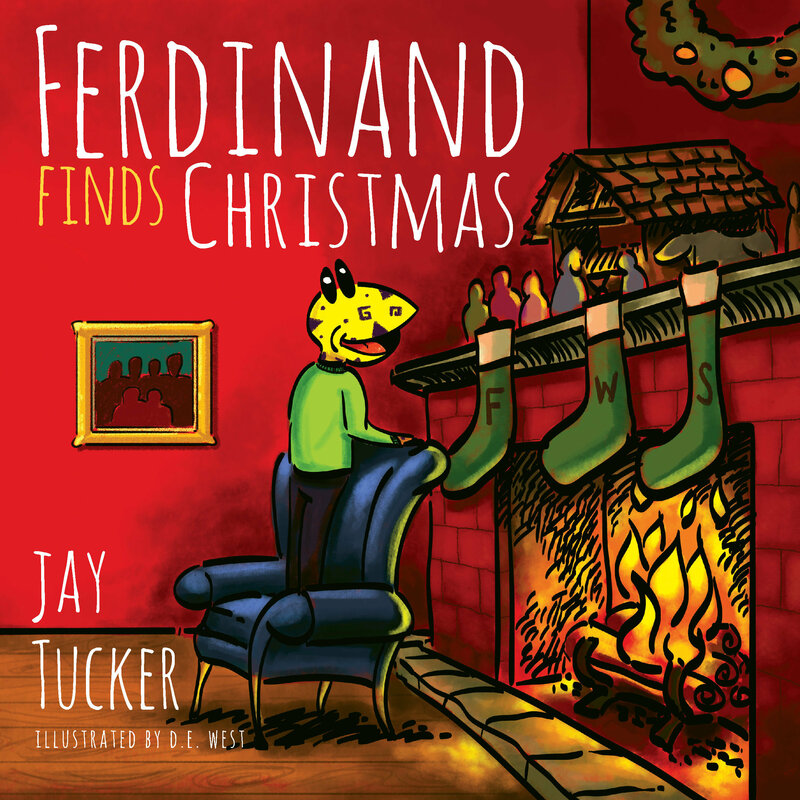 Ferdinand Finds Christmas is written by veteran youth minister Jay Tucker, and is illustrated by award winning artist D.E. West. "This Christmas story will quickly become your child's favorite! Such a beautiful book to share with your children and spread The Christmas spirit! It is so nice to have a story to share the true meaning of Christmas with my boys!" "While this touching little story teaches children the true meaning of Christmas, it's sure to remind us all. Ferdinand the frog will enlighten and engage a child's heart and mind. This rhythmic tale is sure to become a family tradition." "Keeping our hearts focused on Jesus during the season of presents, parties, programs, and gatherings can be more than a colossal challenge. Add this book to your "tool box" of treasures, that help to focus us all on the birth of our Savior." Finds Christmas teaches that it is not about the presents, but about giving and time spent together."